Go Green! The #Run4Greenway project is a fundraiser for the Greenway Maintenance Endowment Fund. The goal is to make Greensboro beautiful and enhance outdoor activity and community. The Downtown Greenway is a planned 4 mile walking and biking trail that will enhance and define downtown Greensboro. This project will enhance the urban landscape with a green space that will encourage economic development, promote fitness, inspire alternative transportation, and provide connections between Greensboro neighborhood residents around the city. 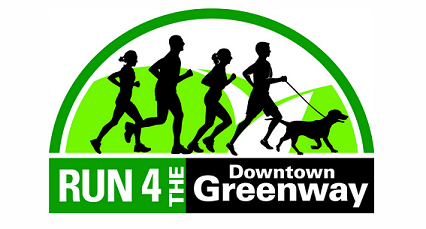 The proceeds from the Run 4 the Greenway will go towards the Maintenance Endowment to supplement the City’s maintenance of the Downtown Greenway when it is complete.